Do you remember that stretch of road or river or mountainside you immediately felt a connection to? A place where the draw was so visceral it elicited a feeling of peace and excitement concurrently? It might have resulted from sensory delights like the sun on your face, fresh air in your lungs, a spectacular view—or from a scene that stirred your imagination or recharged your faith. However this attraction defined itself, you were thoroughly transfixed, wanting to stay longer and feel more. Early Celtic Christians once called such experiences thin places, where the veil between the natural world and spiritual realm seems especially transparent—where time stands still, beauty enthralls, the bigger picture is glimpsed… where one feels closer to an omnipresent God. In Gaelic, the name for thin places is Caol Áit or “keel awtch”, and it’s no wonder that the name probably originated in a land known for its diverse beauty and lushness... Ireland. 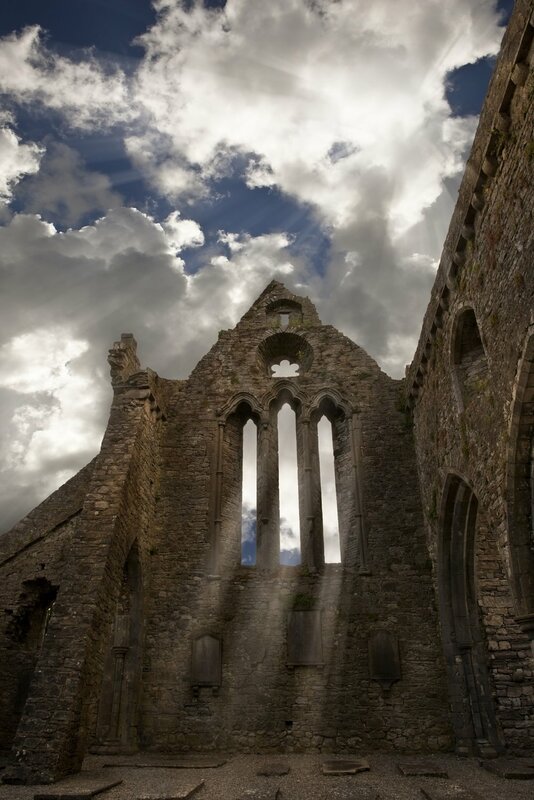 Indeed, to stand beside an Irish ruin and wonder at all the untold stories of the past or to sit atop an Irish mountain and reflect on the boundless glory of God is an experience that transcends the senses. It is a reminder that we are both finite body as well as timeless spirit, the latter in union with God’s spirit always, but at special times exuberant and even giddy upon glimpsing the scope of God’s greatness as seen in his creation. For as much as beauty, mystery, and serenity might draw us to a particular view, it is the unexpected brush with otherworldliness that ignites our imagination, reinvigorates our soul, and brands our memory irrevocably.